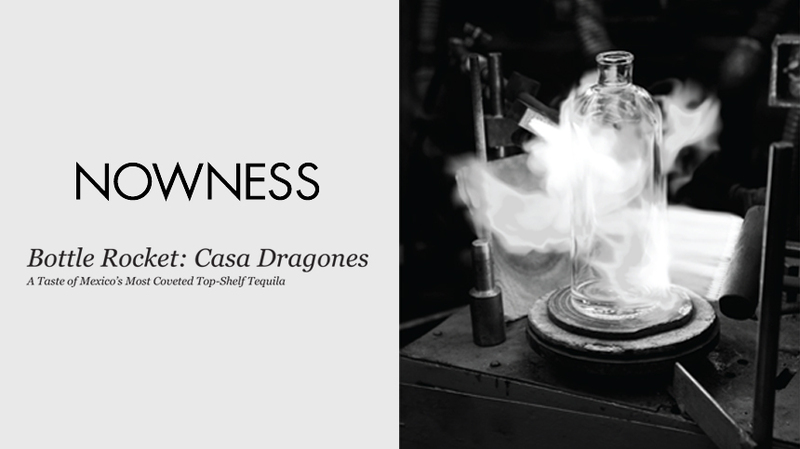 Distilled from the finest pure blue agave in Jalisco, Mexico, and aged for five years in oak barrels, boutique tequila Casa Dragones is a sophisticated and nuanced take on the south of the border spirit, intended for sipping rather than slamming. “We want the brand to be an elegant representation of Mexico today, with all of the quality credentials that entails,” says co-owner Bertha González, who set up the label with MTV founder, Bob Pittman, in 2009. A defacto accessory at Mexico City art openings and upscale dinner parties, the premium spirit has spread to luxe outposts in the US, from the Chateau Marmont to The Standard to Soho House, and is made in limited batches contingent on that year’s harvest. Precise amounts of extraañejo tequila are added to perfect the blend, which contains balanced notes of lemon peel, vanilla, hazelnut and honeysuckle with crisp black pepper. The bottle is the pièce de résistance: a handmade, engraved, lead-free crystal decanter which was awarded France’s most prestigious luxury design award last year, the Grand Prix Stratégies du Luxe. Read more here.